Post Falls Parks and Prescription Trails | Post Falls On The Go! Post Falls offers an excellent assortment of Prescription Trails within the city parks and neighborhood parks. 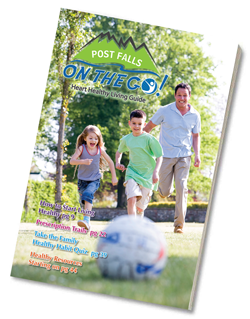 Post Falls Prescription Trails are available to anyone and are especially useful for individuals trying to lose weight or rehabilitate from an injury or surgery, senior citizens trying to stay active, and families seeking to wear out the little ones. The map below details the general location of the parks highlighted in this guide and the following pages provide details on the city’s Prescription Trails. Click map above to enlarge.